This is the website of a sailor, someone who appreciates home but is still thrilled with the occasional adventure of being on the water. Of particular interest to this sailor is the Trimaran boat that is a classic in all ways – perfect boat for a family cruise, a single sailor, a couple, or a foursome. Spending some quiet time on the boat is all it takes to clear the mind and unwind after a long period of work. It is easy to see why fell in love with the Trimaran besides offering the tranquillity of a home on water. Easy to navigate: instead of spending too much energy on getting the boat to your destination, this kind of boat is able to be trailered. It is easy to forget that you are on a boat because as you engage in other activities to relax like enjoying the rush and flow of the wind, without the noise of an engine. Private space: the Trimaran is small enough for single occupancy yet large enough for a small family. Unlike other boat types that are either too generous on space or too limiting, being on the Trimaran brings a sense of safety and allows for some privacy at the same time. 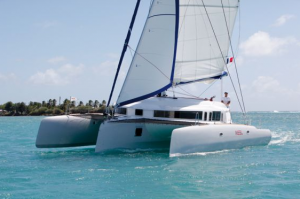 Sailing on a Trimaran offers the best sailing experience you will find anywhere. It is a fully equipped boat meaning that there is nothing in the way of equipment to bring. What you need for the journey is just a change of clothes, some food, and drinks. Cruising laminate sails to use in harsh weather, solar panels to generate renewable energy for use on the boat, a comprehensive compact gallery, an a built-in head (lavatory) are some of the classic fittings that this boat offers to its occupants.